Includes lodging Monday - Friday night. Evening meals will be on your own. 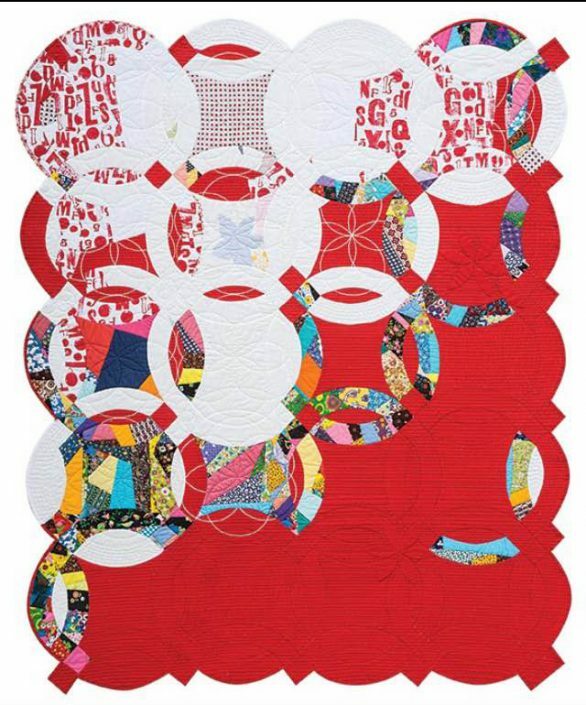 Class Description: Get ready for new adventures in conventional piecing with celebrated quilter Victoria Findlay Wolfe. Create stunning Double Wedding Ring quilts with breathtaking innovations on the classic pattern. Try your hand at Victoria’s unique fabric slashing and “Made-Fabric” methods—it’s easier than you think! You’ll feel liberated as you improvise on her designs. Class size is limited to 12 students. If paying by mail, contact us to hold a place for one week until deposit is received. Classroom and lodging space is limited to 12 students. Classes are available on a first come first served basis. form, and complete the checkout process with your payment to hold your space. due. Sorry, no credit cards will be accepted for the balance of classes. once you have registered for a class we are counting on you to attend. recommended when coming by plane or train.